How to Select a Good Family Law Lawyer in the Greater Toronto Area? When you are facing a divorce, one of the first rational questions that comes to mind is, “How do I find a good lawyer?” Knowing how to choose a family law lawyer who will provide you with the legal advice you need, at a price you can afford, and be the right fit for your situation, is not easy. Here are some tips to guide you in your search. Decide what process you want to use. This is the FIRST decision you need to make! You have to decide whether you want to use mediation, litigation, Collaborative Family Law. Then you can start looking for a family law lawyer who is experienced in resolving issues that arise as result of a divorce using that process. In other words, you have to match the lawyer to the process. Otherwise, you are not going to be satisfied with the result you get in your case. Decide what kind of legal service that you need. While everyone who is going through a divorce needs legal advice (at least in my humble opinion! ), not everyone needs a $500.00 per hour big city divorce law firm on their case. If you have a lot of assets, own companies, or have a complicated financial situation, then, yes, you are going to need an experienced lawyer, or law firm, who understands finances and is equipped to handle a complicated marriage breakdown. If you have a short marriage, no kids, no real estate and are not dividing any retirement plans, then you may be able to get by with a simple consultation with a lawyer. No one wants to pay thousands of dollars (or more) to a family law lawyer. But, there is such a thing as being penny wise and pound foolish. You have to balance the level of legal services that you need with the cost of the services that you can afford. And you have to be honest with yourself. If you own multiple properties and have a six figure salary, you CAN afford a family law lawyer. The fact that you don’t want to pay a family lawyer is really beside the point. If you are living paycheck to paycheck, have no equity in your home, and nothing in your savings account, getting an expensive, high-powered family lawyer just might make you end up in bankruptcy court! The absolute best way to find a good family lawyer is, was, and probably always will be, word of mouth. If you know someone who has been through a divorce in the past few years, and was satisfied with their divorce lawyer, get that lawyer’s name. If you know any non-divorce lawyers, ask them for a referral. Lawyers know each other. Your neighbor who is a real estate lawyer may be able to lead you to an excellent divorce lawyer. Take lawyer ratings with a grain of salt. Lawyer rating agencies are not infallible. A lawyer who chooses not to advertise, or participate in a particular rating site’s program, may end up being rated poorly, even though s/he may be an amazing lawyer. Their mediocre rating is really only a reflection of the fact that that lawyer has chosen not to be part of the rating program. Another complicating factor is that, due to ethical restrictions, lawyers in some states are prohibited from participating in legal rating websites. Finally, you need to remember that people going through a divorce are not happy. Sometimes, even if a lawyer does an outstanding job for them, those people complain. Their rating of their lawyer may have more to do with them, than it does with their lawyer. 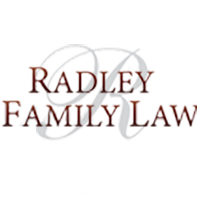 Find a lawyer who is experienced in family law. This is not the time you want to talk to your cousin’s boyfriend’s uncle who specializes in estate planning, but is willing to do you a favor and handle your divorce. You need a lawyer who regularly works in divorce. That doesn’t mean that you can’t hire a sole practitioner who does other things besides divorce. Make a list of questions to ask BEFORE you interview any one. It’s normal to be nervous when you go talk to a lawyer, especially about something as personal as divorce. It’s also normal to be super-emotional when you are going through a divorce. Both of those factors make it more likely that, once you are in an attorney’s office, you will forget what you wanted to ask… and you won’t remember until after you are back home. Making a list of the important questions you want answered makes it much more likely that you will actually ask, and get an answer to, those questions. The lawyer who is right for you will not make you cry. The lawyer will talk in words that you understand, and will not make you feel stupid or unimportant. If you leave an interview with a lawyer and don’t feel like s/he heard a word you were saying, that is NOT the lawyer for you. Finally, trust yourself. If you walk out of a lawyer’s office and you have that kind of nauseous, uneasy feeling that you get when something is not right, then maybe s/he is not the right lawyer for you. So, how to choose the divorce lawyer who will be best for you? Use your head, but pay attention to your gut.